Aviva Life Insurance has launched an online term plan with return of premium. Return of premium term Insurance products, as the name suggests, gives back a certain return on the premium paid if the policyholder survives the policy term. 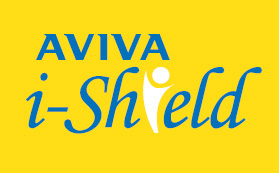 Name of plan is Aviva i-Shield. Aviva i-Shield, provides life cover with a provision of return of 110% of paid premium if the policyholder survives the policy term. Premium rebate on choosing Sum Assured of Rs. 20 Lacs and above. Death Benefit: In an unfortunate event of your death (if you are the Life Insured) within the policy term chosen by you, your nominee will receive an assured amount. The assured amount depends upon the year of death. The policy will terminate after the payment of death benefit. Maturity Benefit: If you survive till maturity and pay all due regular premiums, you will receive 110% of all premiums paid, excluding taxes and extra premium, if any. For a person with age of 25 years the premium for Aviva I-Shield works to around Rs 16400 for a 50 lakh cover, 20 year. For a person with age of 35 years the premium for Aviva I-Shield works to around Rs 26150 for a 50 lakh cover, 20 year. This plan is nothing but option to combine investment with insurance. Which one should avoid. If risk cover is only objective one should purchase term plan, where once can find 50 lac cover in approximate Rs.5000. Remember these plans come at an additional premium cost of as much as five times of that of any regular term plan. So, if insurance company can invest your money in low risk component why you can’t. I advise instead of buying this plan you can park surplus funds in high-growth instruments such as equity-linked savings schemes (ELSS) or PPF, ELSS of FD which can earn you better returns along with tax benefit.